Are You On The Plus Side? 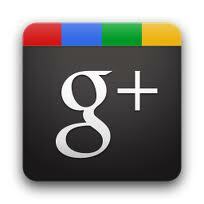 Still think that Google+ is an out of the way suburb nobody visits, the Levittown of social media? You may want to think again. Google+ now has 135 million active users and over 235 million users interact with the Google Plus buttons and video chats Hangout features. Overall, 500 million users have upgraded their older Google Accounts to Google Plus accounts, through a user-activated update process. While it is still a matter of conjecture exactly how active these users are (there are some that assert that people and businesses are simply signing up to make sure that they are connected if anyone else actually does use the network) it is still clear that membership has been steadily growing for the past year. It’s our opinion that it has reached the tipping point take the time to set up a Google page for your restaurant now, like very other aspect of social media, it’s much better to start earlier than later – you can’t catch a wave that’s already passed you by. Here’s a great guide to get you started.